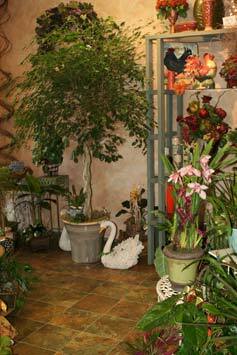 Enchanted Florist offers beautiful, fresh flower arrangements in Granite Bay & Roseville, CA. Our expert florists create the perfect gifts to suit any special occasion. Enchanted Florist also offers quick and easy floral delivery around Granite Bay & Roseville. Need flowers delivered across the country? Our trusted network of florists can deliver nationwide. 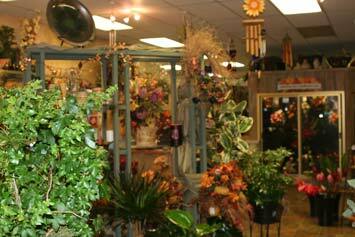 Enchanted Florist also offers same-day delivery services for any last minute gift needs. Make the right impression with fresh flowers from Enchanted Florist. Find the perfect floral gift for any holiday or occasion - from lovely Mother’s Day flowers and romantic anniversary flowers to sympathy funeral flowers and thoughtful get well flowers. Trust your local Granite Bay & Roseville CA florist for the freshest, most beautiful bouquets to fit any budget. Enchanted Florist offers the best arrangements gifts for the ones you love, like special birthday flowers and exquisite Valentine’s Day flowers for the ones you love. We make sending fresh flowers easy – whether you want to send to a friend in Granite Bay & Roseville or a relative across the country. You can browse our website and order online or call the shop to place your order. We can even create custom gift baskets which make the perfect gift your upcoming special occasion. 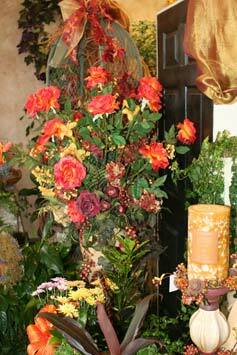 Trust Enchanted Florist in Granite Bay & Roseville for beautiful bouquets that fit your budget. Enchanted Florist’s floral experts will create the perfect gift using beautiful flowers in Granite Bay & Roseville. Browse our large selections of flowers, plants and gifts baskets to find just what you’re looking for. Don’t worry about quality – all of our lovely flower arrangements are hand-arranged and personally delivered right to each door. As your local florist in Granite Bay & Roseville CA, our floral gifts make it easy to show how much you care. Other floral sites ship your bouquet in a box and leave it for your recipient to trim and arrange. If you want fresh, hand-delivered flowers in Granite Bay & Roseville, count on the trusted florists at Enchanted Florist! Our beautifully arranged bouquets will not disappoint and you can trust that your flowers will be delivered fresh and undamaged. For flower delivery in Granite Bay & Roseville, don’t take a chance on those other sites – order your gift from Enchanted Florist and expect the best. *Our shop is open from 9:00am to 4:00pm Monday through Friday and from 9:00am to 3:00pm on Saturday Order by phone: (916) 791-2323 Online at: www.myenchantedflorist.com NO WALK-IN'S To help assure on-time delivery during the busy holiday season, place your order at least 1 day prior to the following major holidays: Thanksgiving Day, Christmas Day, New Year's Day, Valentine's Day, Easter, Administrative Professionals Week, Mother's Day, Memorial Day, Father's Day, Independence Day and Labor Day. 94280, 94257, 94205, 94282, 94278, 94290, 94211, 95821, 95825, 95831, 94273, 94204, 94248, 95652, 95852, 94207, 95830, 95691, 94279, 95833, 94293, 94250, 94239, 94274, 94297, 95650, 94289, 95746, 95816, 94291, 95746, 95843, 94229, 95853, 95812, 94208, 95838, 95860, 95835, 94295, 95763, 94287, 94206, 95762, 94256, 94269, 94254, 94234, 95834, 94247, 94296, 94249, 95828, 95677, 95824, 95815, 94243, 94277, 94285, 94263, 95826, 94245, 94271, 95867, 94237, 94288, 94230, 95822, 95628, 95813, 94267, 94259, 95865, 95747, 94262, 95827, 95887, 94244, 94209, 95829, 94268, 95661, 95605, 95670, 94283, 95678, 94258, 94252, 95899, 95741, 95823, 94298, 94294, 94240, 94232, 94261, 95814, 95765, 94235, 95840.